The nekogigi is a species of bagrid catfish found only in the rivers flowing into Ise and Mikawa bays of Japan. They are freshwater catfish with whiskers (barbells) that are not made of hair but function the same as cat whiskers—as sensory organs. Adults are generally 11 cm in length, and they have three pairs of ventral fins, two dorsal fins, and a deeply forked tail. They are peach-plum and gold in color, and unlike other fish, nekogigi catfish do not have scales. The lifespan of the nekogigi is only four years. This fish is able to deliver a toxic protein through a hollow spine in its dorsal fin that when attacked can be used to sting its predators. Nekogigis are nocturnal and pure freshwater fishes and can only thrive in clear streams. They can be found creeping into small spaces under rocks or reedy places in the day, and at night they can be found swimming around slowly around the river floor. Nekogigis feed mainly on crustaceans, but they can also eat plankton and insect larvae, small fish and tadpoles, and detritus. 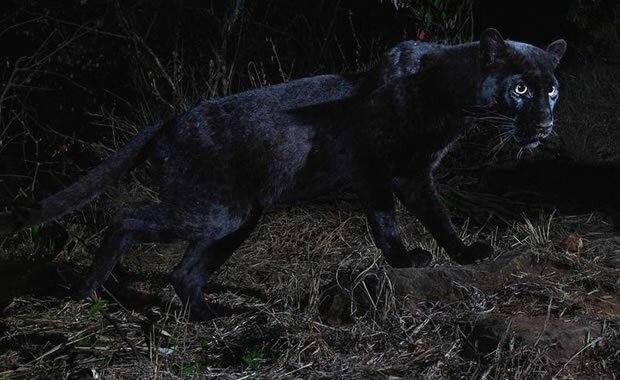 It is able to find its prey in the dark by using its barbells to detect their movement. Mating occurs in the spring, and the males are in charge of finding and protecting the nesting site. The main cause of decline is habitat disturbance and degradation. In 1977, this species was designated a national natural monument (in the category of species), and conservation plans for this species include habitat protection and restoration. Copyright Notice: This article is licensed under the GNU Free Documentation License. It uses material from the Wikipedia article "Nekogigi". Glenn, C. R. 2006. "Earth's Endangered Creatures - Nekogigi Catfish Facts" (Online). Accessed 4/20/2019 at http://earthsendangered.com/profile.asp?sp=302&ID=3. Need more Nekogigi Catfish facts?